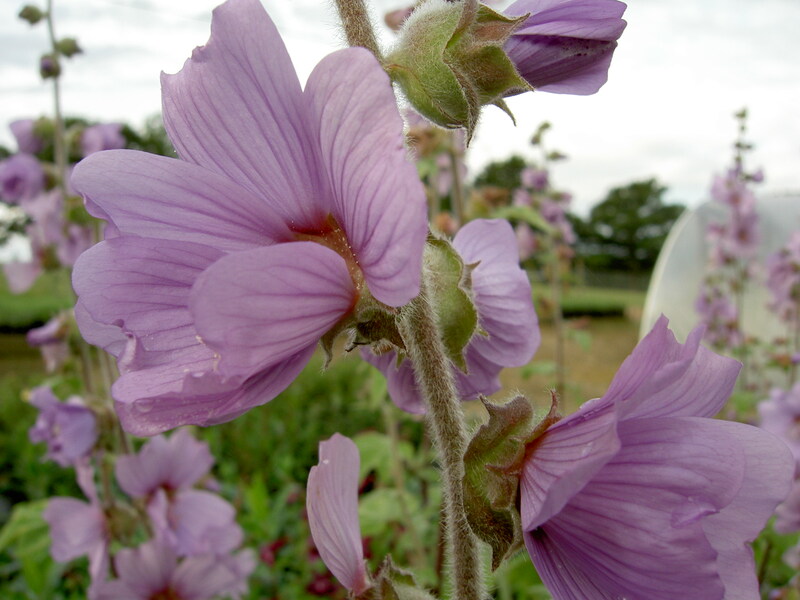 A much more compact grower than 'Barnsley',this variety has the same white to soft pink flowers over a long period in summer but only grows to perhaps 120 centimetres (4 feet) in height and spread. Burgundy-red flowers crowd the stems of this fast-growing bushy shrub in summer. 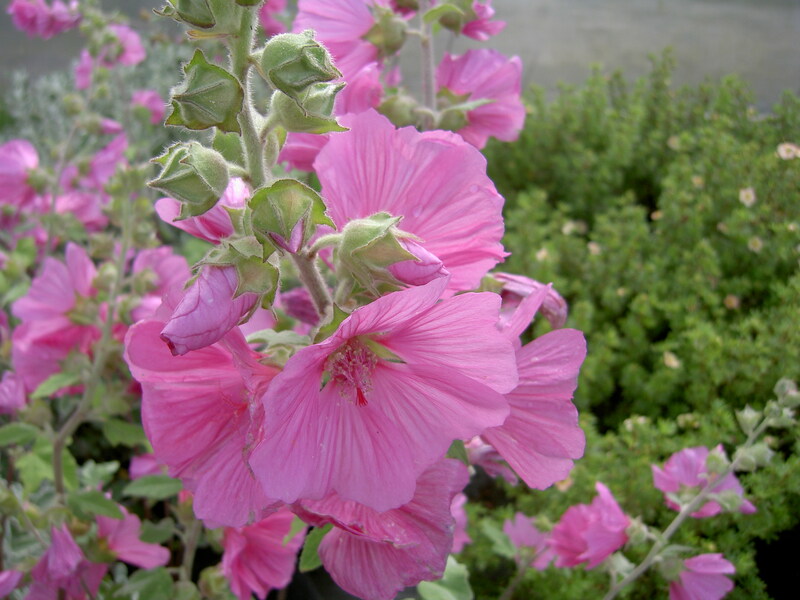 Less tall and denser than 'Rosea' or 'Barnsley' so more suited to a smaller garden. Distinctive soft lilac flowers over a long period in summer.Quick growth to 2 metres. 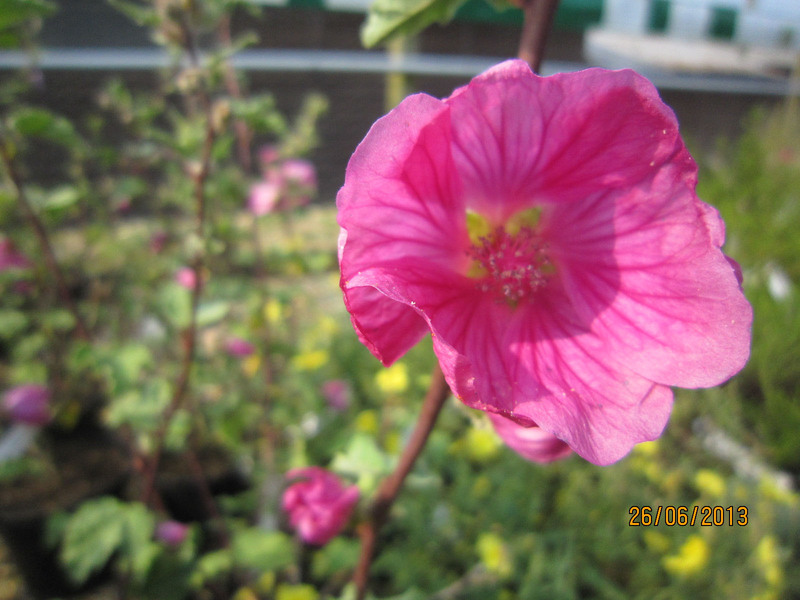 Well-known 'Tree Mallow'-pink flowers in profusion in summer.Quick growth 2-2.5 metres. 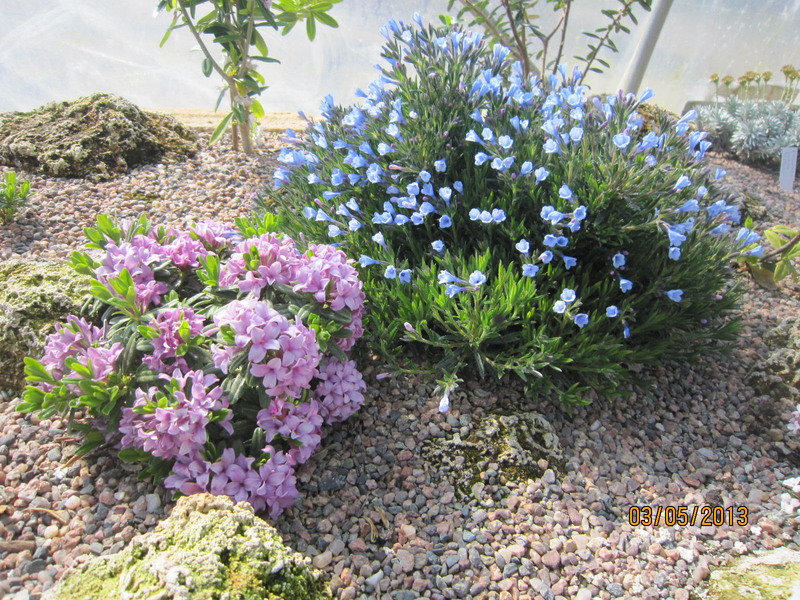 Attractive small shrub for well-drained or alpine conditions. Rounded plant producing a mass of sky-blue flowers from late spring. Neat and compact in growth. 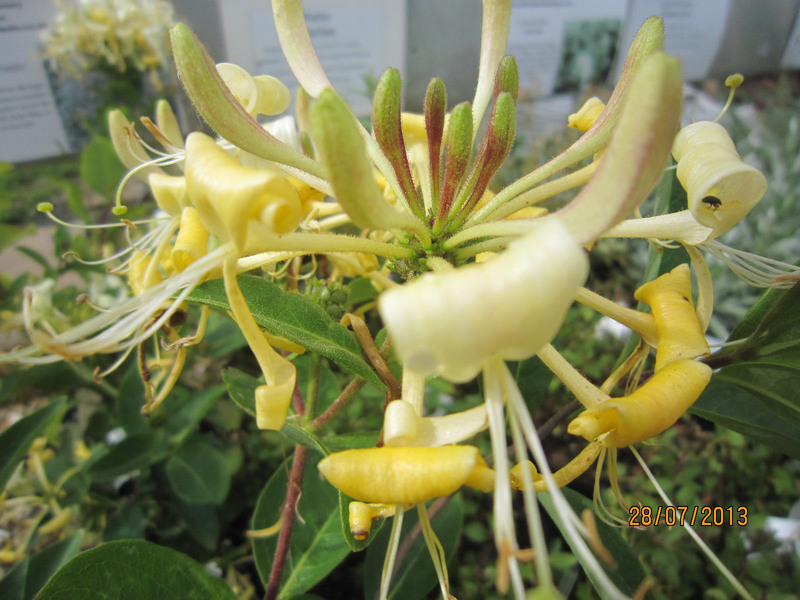 Lovely dwarf,compact form of the traditional 'Honeysuckle'. The heavily scented flowers are golden-yellow and borne for a long period from late spring into summer. Makes a compact shrub rather than a climbing plant and no support is needed. Interesting shrub from Western USA, the bright orange-red flowers start opening April-May and can continue throughout the growing season. Spreading growth to about one metre. Very drought tolerant. Excellent form of the 'Foxglove Tree'. Very large heart-shaped green leaves make this a lvely specimen for a reasonably sheltered well-drained spot in full sun. The mauve-blue Foxglove-like flowers are borne in the spring at the same time as the new leaves are starting to emerge. Strong-growing deciduous shrub having a profusion of very fragrant pure white flowers backed by dark purple sepals in June. Delicate single white fragrant flowers are backed by a deep purple calyx and are borne in profusion in June. Loose,arching growth to around two metres. Arching,spreading branches bear a profusion of beautifully scented white flowers from late May through June.